Handmade Soaps In a Gift Box – Bit of all Sorts! Are you looking for a ‘special something’ to give to ‘someone special’ on their birthday? If so, this gift set of handmade vegan soaps is perfect as it looks and smells fabulous. It contains 3 individually wrapped luxury handmade soaps nestled on a bed of shredded tissue. 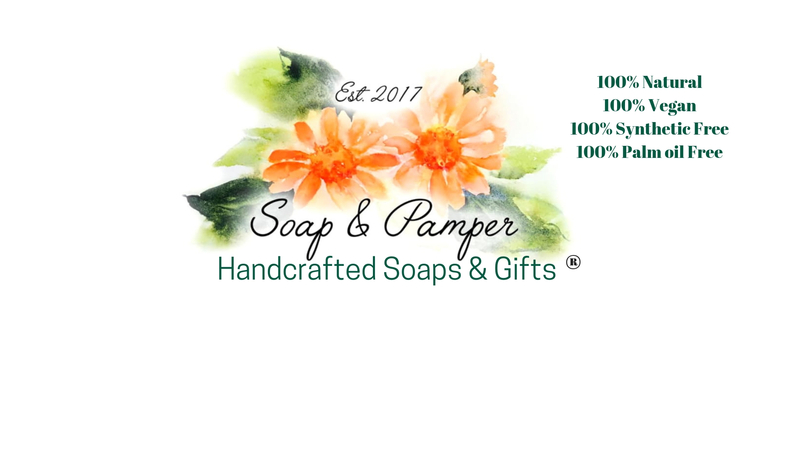 Each soap is made with natural ingredients and scented with essential oils. They are vegan friendly, palm oil free and chemical free. The box is then tied with string or ribbon and contains a gift tag. Unless otherwise stated, all of my soaps have a minimum weight of 65g In reality they are much larger as I cut them by hand!